Now that the 2013 recruiting class is over the Gators are now turning their full attention to the Class of 2014. But before the Class of 2013 was even over Florida offered St. Petersburg (Fla.) Catholic offensive lineman Reilly Gibbons. 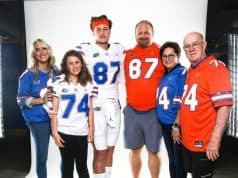 One of the things the 6-foot-6, 270-pound likes about Florida and the program is offensive line coach Tim Davis. 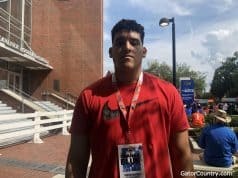 Over the last few weeks Gibbons has picked up several scholarship offers, including Florida and Ohio State to give him 25 total offers heading into the spring. Gibbons isn’t sure of his plans but knows he will take some visits this spring, including one to Florida, and he will also participate in the Nike Football Training Camp in hopes of gaining an invite to the Nike Opening in Oregon next summer. 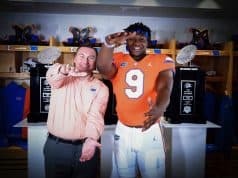 While Gibbons is picking up several football offers he also is a star basketball player and, according to his father, that has impressed college coaches.